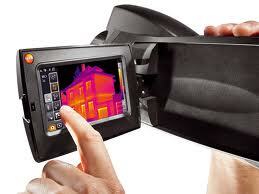 Ergonomic, intuitive, and incorporates SuperResolution Technology and Radiometric Video as standard features. For large measurement areas, the panorama image assistant allows the analysis and documentation of a total image stitched together from multiple individual images. 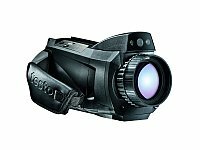 Detector size of 320 x 240 pixels: With 76,800 temperature measurement points, objects are detected in the highest image quality. Thermal Sensitivity of <30 mK: Even the small temperature differences are easily detected and visible thanks to the Testo 885's thermal sensitivity of <30 mK. 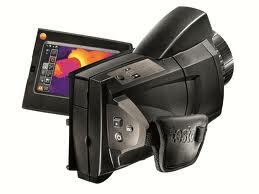 30 Standard Lens: The large field of view of view of the Testo 885 is easily achieved due to its standard 30 lens. Thermal imager with site recognition feature, telephoto lens, lens protection glass, additional battery, rapid battery charger, surface moisture display, voice recording Bluetooth headset, hard shell case, SD memory card, USB cable, software, and power supply. 9571 TruReward$ points will be placed in your account when you buy this item.